Studio Calico is launching a massive giveaway called #SCinspires - the goal is to get as many people as possible to download this print and to use the hashtag #SCinspires - I mean, why WOULDN'T you want to download this beauty?? What’s so great about fall? 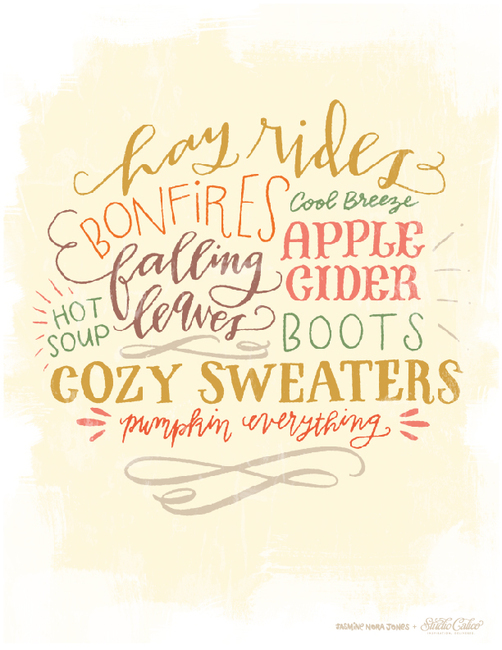 Apple cider, cozy sweaters, falling leaves, and pumpkin everything, to name a few! We bet you’ll find a few autumn favorites of your own on listed on this printable poster, designed in-house by Jasmine Jones (link to her profile on the site) with love and care. Frame it, gift it, or just put it somewhere to remind yourself of all the good things fall brings. Not to mention the flower stamp, gold paint, sequins, patterned papers, gold foil chipboard alphas, watercolor die cuts, vellum stickers... swoon! Studio Calico is giving away over $1,400 in prizes drawn from the people who download the printable. The prizes get bigger and bigger the more uses of the #SCinspires hashtag! 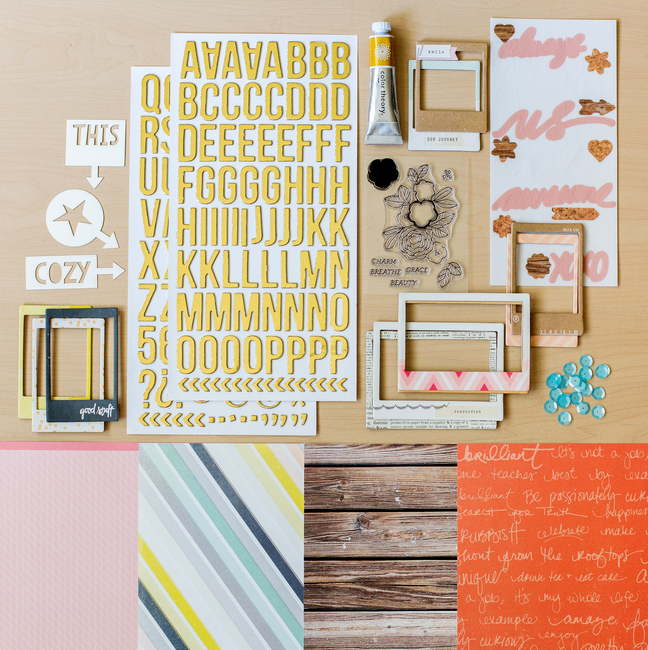 Studio Calico will add up all the uses and update everyone on the Studio Calico blog every Friday. 2,500 shares = 25 lucky winners will receive a free month with a Gold WRMK album! Not only all that, but I have a sold out PICCADILLY ADD ON KIT to giveaway! Just leave a comment here, easy as that! I'll pick a winner in a week - Monday October 20th 2014 so check back on this post then for the update with the winner. Congrats Heather - I will pass your info along to Studio Calico and you should get your Piccadilly kit soon! You always inspire me with your creations using their kits!!! Oh, Piccadilly is so full of goodness!!!! Your collage of gorgeous layouts IS inspiration in and of itself. So gorgeous! Thank you for sharing what inspires you with us; thank you for the generous give-away. Piccadilly is stunning, and the possibilities...oh my! I wanted the Piccadilly so much and missed it! Thanks for the giveaway and thank you for all the inspiration you share! Seeing all your designs with SC's kits are always much anticipated. I don't know how you out do yourself with each one, but you do! Love the chance to win Picadilly, it looks awesome! That gold paint is definitely inspiring. I love the stamp in that kit! 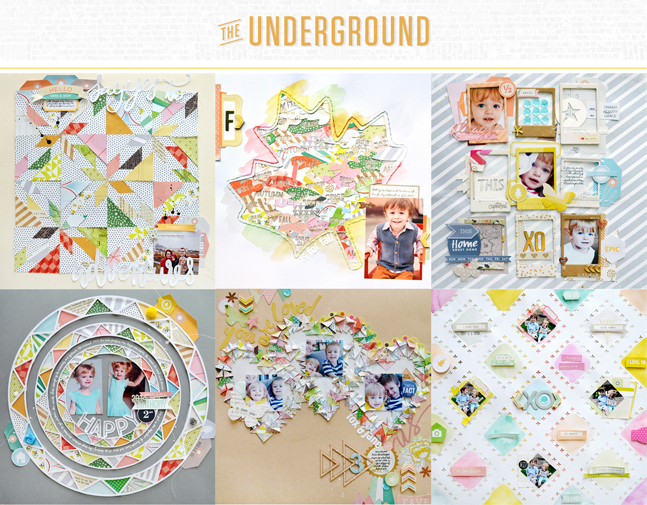 The Underground kits are some of the best all-time offered at Studio Calico. I LOVE autumn and am super inspired by the season to create more, so these kits are extra great. Your work is fantastic, thanks for the giveaway chance! Oh my gosh I love that kit!!!! Thank you so much of the chance to win!!!!! Would love to win that kit! My SC username is pipapo. Thanks for the chance to win! If was a great add on! I'm mernin at SC. Thanks for the chance to win; what a gorgeous add-on! Oh how I would love to win this sold out kit! Your work is amazing and inspiring Paige! Thanks for the chance to win and my user name is Rhonda N.
Gorgeous layouts, Paige!!! Nobody makes papers look prettier than you do in your layouts! Love that the stamp set in the add on kit!! I absolutely love your style. It's always so inspiring. Your layouts are absolutely stunning! Thanks for sharing such fabulousness. I love what you do with die cuts and your Stitched class was one of my favorite SC class. Your pages are a work of art! Love them! This Add on is gorgeous !! I could not grab it at the reveal ... Thank you so much for this great giveaway ! The Piccadilly kit is GORGEOUS! Thank you for the chance to win it! I really love what you have done with it - your work is so inspiring! You know you are like a super scrappy hero to me. My jaw can never be anything but on the floor when I come and see your INSANELY awesome layouts..I must admit I say MAN can my Silhouette do that too!?! lol..
Love all your creations! The piccadilly add on is beautiful. Wow your layouts! Thanks for the great giveaway. love that mini frame layout of yours especially :) thanks for the chance! Love your pages every, single month! 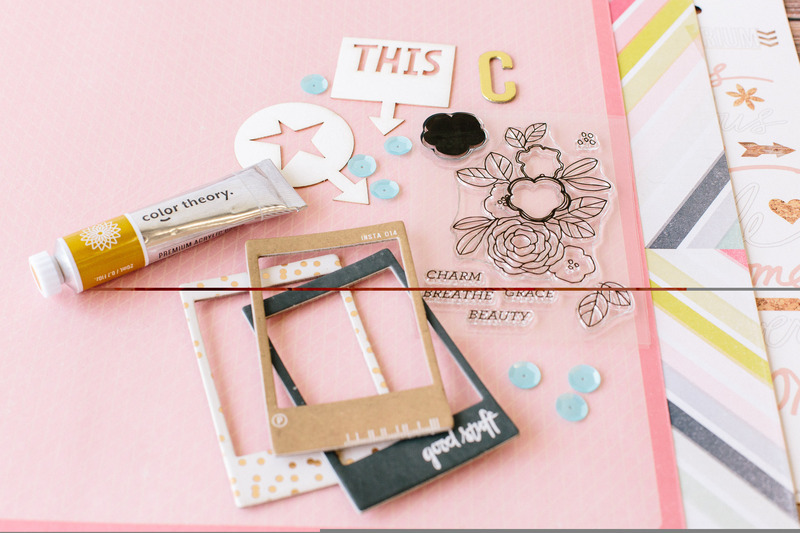 The way you use patterned paper on your layouts is always inspiring! Thanks, Paige! Wow! I would love to play with that kit. Thank you for the chance to win. I love what you've done with the kits. Oh man! The stamp set in that Piccadilly add-on is super inspiring! I have seen so many gorgeous projects using it! Thanks for all your inspiration at Studio Calico, too! My SC username is GAmes56. super fun! Love that stamp set in the kit! Thanks for all your inspiration! Wow those layouts are stunning and look like they took some time to do. Impressive. I agree that those frames in the add on kit look great and I'd love to win this kit. Awesome giveaway! I would love love love this add-on. Paige, you are my INSPIRATION! Thanks for the great chance to win! I pinned your big leaf layout - so awesome! Amazing giveaway! Thanks so much for the chance. really love that flower stamp. Wow what an awesome opportunity! That add on was so gorgeous its no surprise it sold out! Would love to win! Sc username chancejordan1! What fun! It's always fun to win ;). SC does inspire in many ways. My SC user name is DjC. Gorgeous work with the kit!! This is a beautiful add-on kit! Thanks for the chance to win it!